Paul Gleghorne, HNH Corporate Finance Senior Manager, also plays hockey for Ireland. The self-confessed spreadsheet geek has formulated a simple plan for keeping himself right. 1. Talking to friends and family about how I feel. It might be cliché, but this is the most important thing for me. 2. Reminding myself that I’m not alone. Gleghorne believes a balanced life is key to staying healthy. “The most important thing in my life is always my family and friends,” he said. “Regardless of success or failure in my sport or work life, I remind myself that I am first and foremost a husband, son, brother, friend, etc. “We can all be guilty of letting what we do define who we are, but I try not to let who I am be defined by what happens in my sporting or work life. 2018 has been another big year for the 31-year-old both on and off the pitch and Gleghorne is grateful he’s been able to find a balance between work and the other areas of his life. “HNH have been incredibly supportive of my hockey commitments. “Since joining the firm at the start of 2018, I have been able to fully commit to the international schedule, which has included trips to Malaysia, Germany, Holland, Spain and Belgium, as well as my upcoming trip to India to compete in the World Cup. He sees further benefits to his working relationship with HNH outside of being able to compete for his country alone. “I think that work/life balance is very important for everyone and, for me, both sport and work are important parts of my life. “The arrangement with HNH has allowed me to seriously pursue my sport without sacrificing my professional career. According to Gleghorne, the positive working environment at HNH is unique. “There’s an incredible team dynamic at HNH. “From day one, I’ve felt that everyone is pulling in the same direction to achieve team goals. 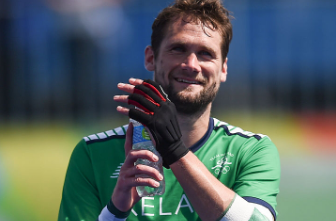 Everyone here at HNH would like to wish Paul and team Ireland all the best in India as they take on the world’s elite over the next couple of weeks. You can catch Paul playing for Ireland at the World Cup on BT Sport. The knockout stages begin 10th December.